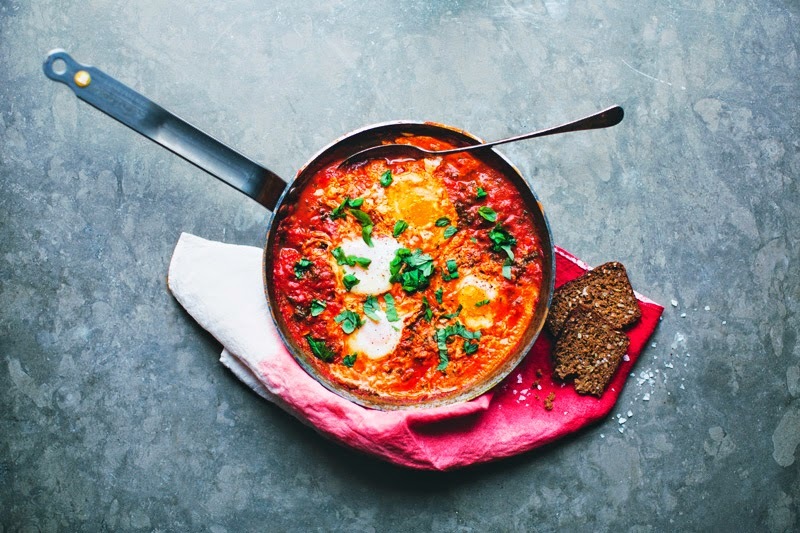 Have you ever heard of shakshuka? This deliciousness originated in North Africa, and it is essentially baked eggs, in a tomato-pepper-cumin-chili-kale-spinach (and so forth) sauce. It's easy and versatile, perfect for brunch, lunch or as a light dinner. We combined three slightly different recipes, adding feta cheese for extra oomph. Take your pick!